While the Chinese smartphone market is the largest in the world, it does not mean that they are the most technologically advanced. Thanks to strong second half demand for devices that run on EDGE and TD-SCDMA, smartphone sales in the country will have soared 137% to 189 million units by the time the year ends next Monday night. This is according to statistics from Digitimes Research. Because TD-SCDMA is a proprietary 3G network used only by China Mobile, and EDGE is a slower network than 3G, 61% of snartphone sales in the country are made by local brands, That is up from the 39% of smartphone sales that local Chinese brands were responsible for last year. In the fourth quarter, Android flavored handsets had a whopping 86% marketshare in the country, equal to 50.8 million units. For all of this year, Android sales are expected to have surged 260% to 157 million units. We need to get one thing straight. When Digitimes Research is talking about local brands, these are still large manufacturers that are ready to aim for the top tier of the high-end market with some new handsets scheduled for 2013 release. These are companies like Huawei, ZTE and Lenovo. All three will rank in the global top ten list for 2012, thanks to the size of China's market. Next year, Huawei and ZTE will be relying on top-shelf devices like the Huawei Ascend Mate which is a 6.1 inch monster that was recently showed off in an Huawei Store in China by Huawei Chairman Richard Yu. The device will be taking on the Samsung GALAXY Note II. 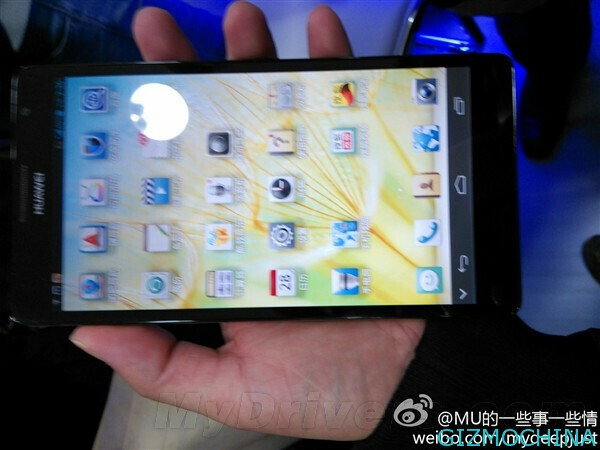 ZTE has a beast of its own that will be displayed at CES 2013 next month. The ZTE Grand S will join the HTC DROID DNA/Butterfly in offering a 5 inch 1080p screen and a 441ppi pixel density. This phone will also have 2GB of RAM and a 13MP rear shooter in a package just 7.6mm thick. Both this model and the Huawei Ascend Mate are expected to take both manufacturers into the U.S, high-end market, possibly leading to carrier deals for one or both models. Android Sun is rising over China! Yeah! Android is god and only sinners don't use it!!! I agree Android is good and versatile and all... but such fanboyism looks kind of lame. While Chinese brands are nearing the hardware quality of major brands (seemingly) they still need to work on the software. 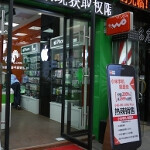 That will be the deciding factor for future of Chinese smartphone manufacturers. These days most of the companies use same internal components from likes of Qualcomm, Samsung, TI, AUO, etc. and same goes for Software. Either Google or MS provides it. To distinguish the brand from crowd, exclusive software and design are the things companies should look for. Chinese phones are making it affordable for all to enjoy big screens ... and Android. Imagine a 5.9 inch phone (or phablet) with dual sim support for less than $200 .. yes screen resolution etc may not be on higher end but not everyone watches hd movies on mobile/phablet/tablet .. at least not in India (or most emerging markets for that matter). Androids are cheap, so it was quite obvious it was going to be the leading OS in a second world country. Nokia and Microsoft should really try to get more low priced Windows Phones in this market. Lumia 510,610 and 620 isn't enough at the moment. td-scdma was created to benefit the local brand until they are strong enough to compete in the world market. same thing what the koreans and japanese have done. and now they are bearing fruits. zte,lenovo,hwawei,oppo and others are about to invade the world with thier cheap but good quality phones.